Nothead Original Spinners – Create your favorite color and size combination. Original Spinners available with a Nickel finish blade. 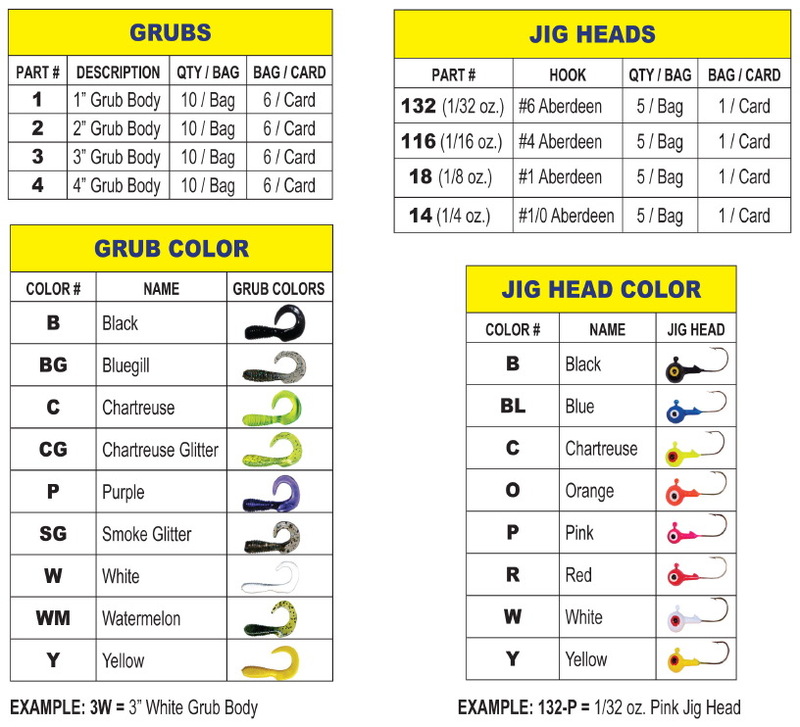 Select your favorite size, leadhead color and grub color. Available in 1/32 oz., 1/16 oz., 1/8 oz., and 1/4 oz. Copyright © 2019 Nothead Tackle	.